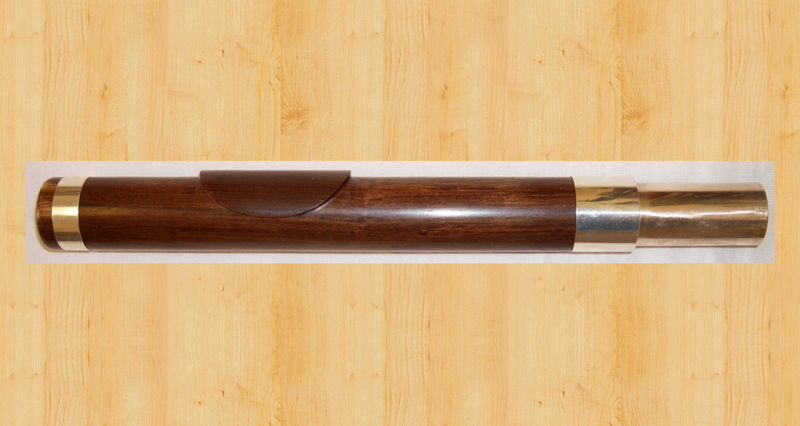 Thin-wall wooden headjoints for western concert flutes. 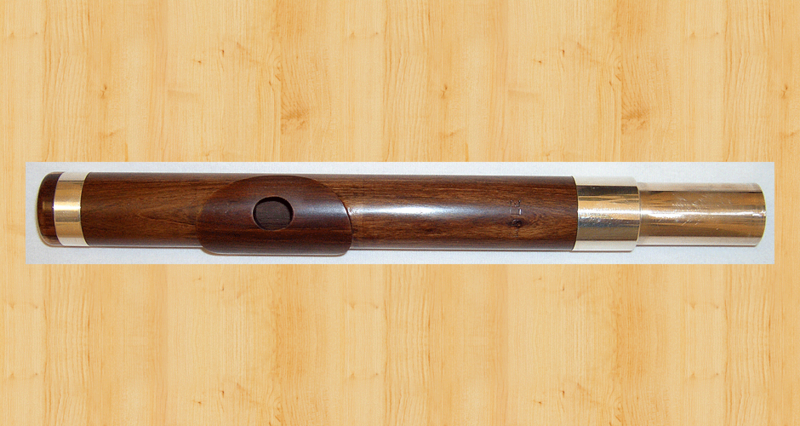 Wooden headjoints add warmth, colour and texture to the tone of a metal flute, which in turn offers the musician greater versatility and an expanded repertoire. 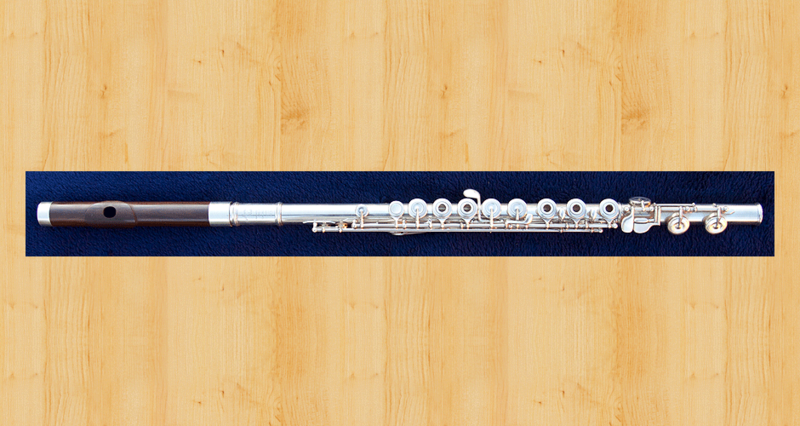 Many professional flute players possess a variety of headjoints ranging from metals including silver and gold to headjoints made from a variety of woods and bamboos. 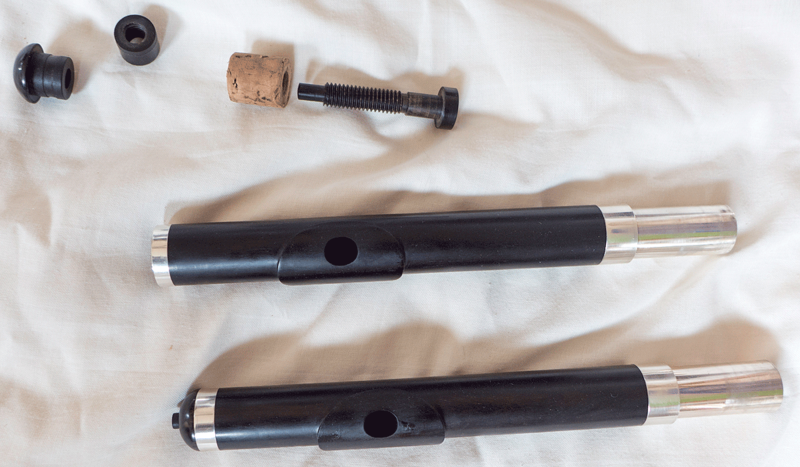 Martin Doyle wooden headjoints can be attached to any brand of western concert flute. As can be seen in the images below, Martin Doyle's headjoints are not fully lined with metal which enables them to retain the warm organic tones of the wood. For more information on Martin Doyle's thin-wall tuning slides, kindly read the answer to the fifth question in the tuning slides section of our FAQ page. 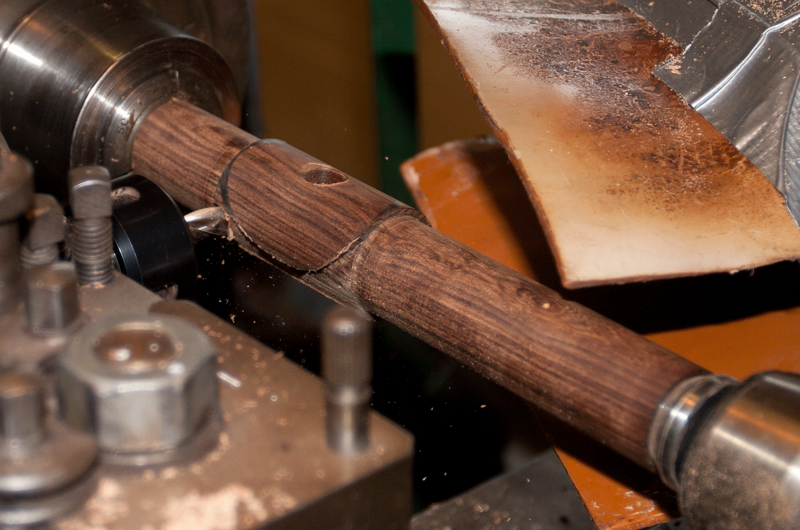 Martin Doyle crafts wooden headjoints from African Blackwood, Amazon Rosewood and Boxwood. African Blackwood offers a strong, bright and powerful tone with plenty of volume. A very durable timber. 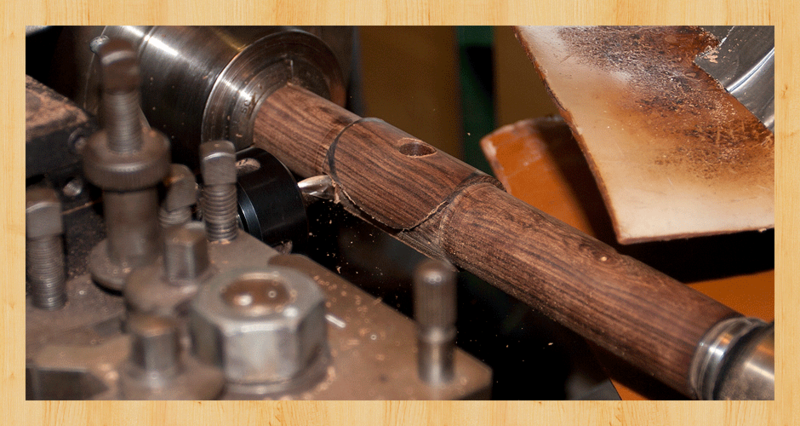 Amazon Rosewood offers a bright, focused and well rounded tone with the capacity for clear and distinct notes. Boxwood offers a simple, sweet and very musical tone. Melodious tone with the ability to produce clear, crisp notes. Cocus wood is unfortunately no longer available. The following are testimonials from flute players who have Martin Doyle's wooden headjoints for their concert flutes. 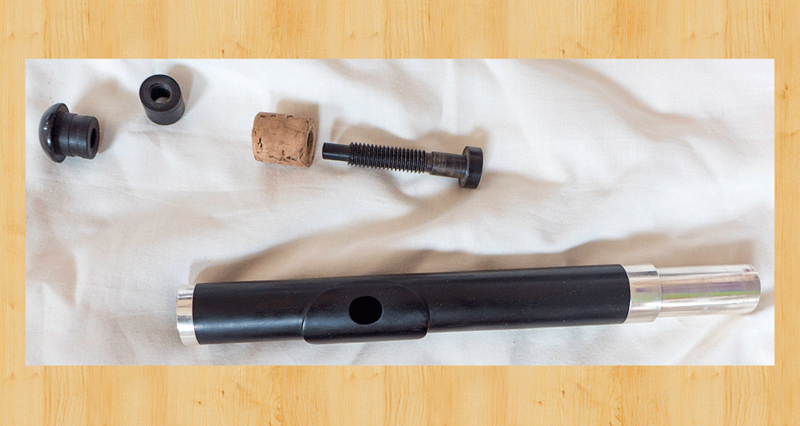 "Really enjoying my new Martin Doyle Flutes wooden headjoint for my classical flute!!! Have lots of really exciting new music to learn on it for the Budapest recital [Eimear is offering a recital and masterclass at the Budapest Flute Academy in Hungary, March 10—13, 2016], including two new pieces written for me by Alicia Hart and Philip Hammond!" Classical and Irish flute player. "I have been playing on Martin Doyle's cocus wood headjoint for many years now – I may even have had the honour of playing on the prototype. The page here would not be roomy enough for me to express how much I love it. All I can say is that it always lures me into playing well." Retired Principal Flute of the RTE Concert Orchestra of Ireland (Elizabeth was with the RTE for over 25 years). I just wanted to thank you for the phenomenal work you did in creating my new headjoint. I recently played it on the show "Beauty and The Beast" and received many compliments on my "sweet" sound. The combination of my Altus Limited and your Blackwood Headjoint allow me a warmth that neither of my metal headjoints provide and enable me to play all octaves with a solid, centered sound which articulates quickly and doesn't break up when pushed! I will surely endorse your craftsmanship so more flutists can experience the wonderful qualities of a Martin Doyle headjoint! Multi-woodwind performer, clinician and teacher.